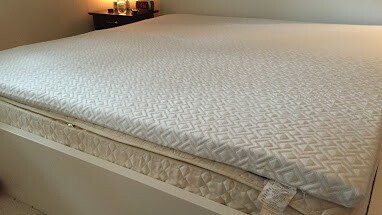 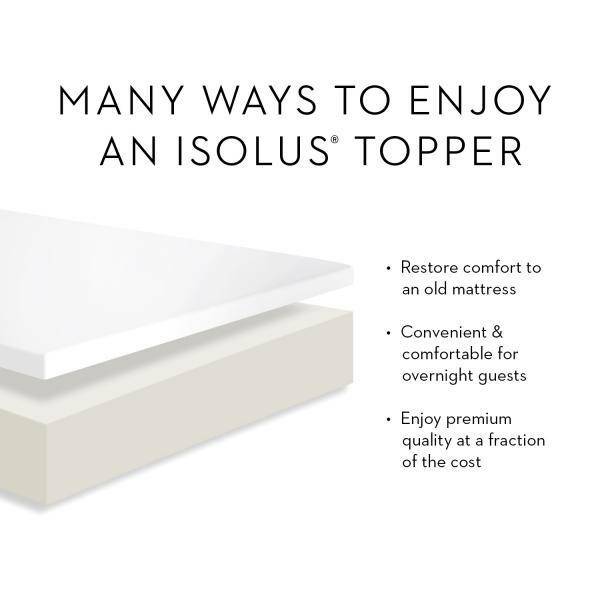 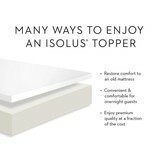 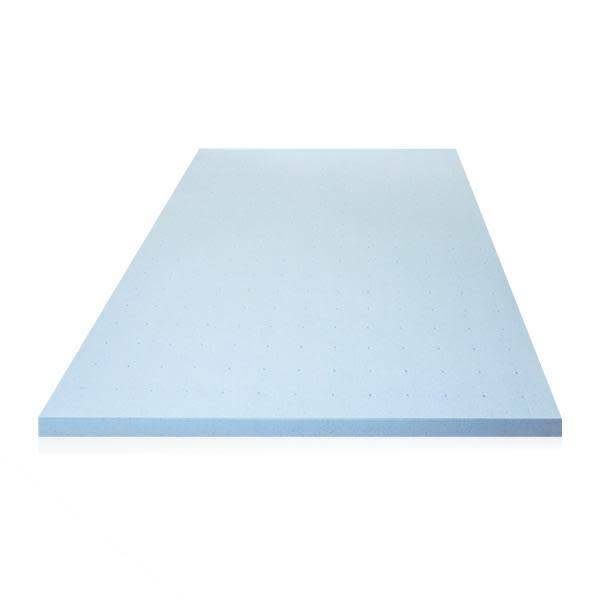 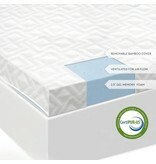 If you’re looking for a mattress topper that will give you the right amount of support and cushioning as well as keep you cool, check out the Isolus mattress topper.This 2.5″ mattress topper is infused with a cooling gel that will help regulate your temperature throughout the night. 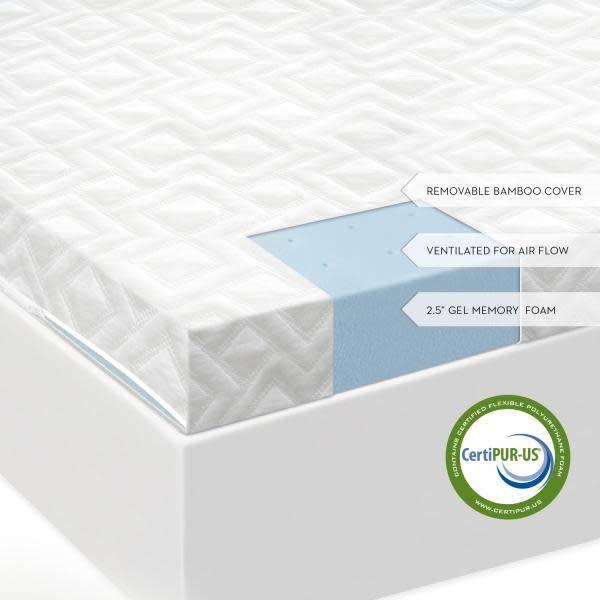 This mattress topper Utilizes a pin-core design which means that the gel memory foam is ventilated to increase air flow and regulate sleeping temperature.The memory foam quickly contours to your body to cradle you just right. 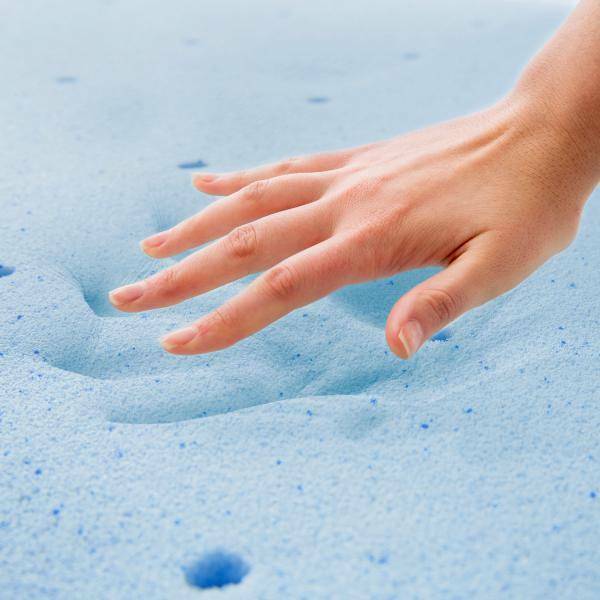 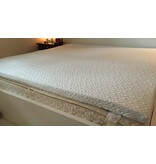 Anything thicker than this would most likely mean you need to get a new mattress.